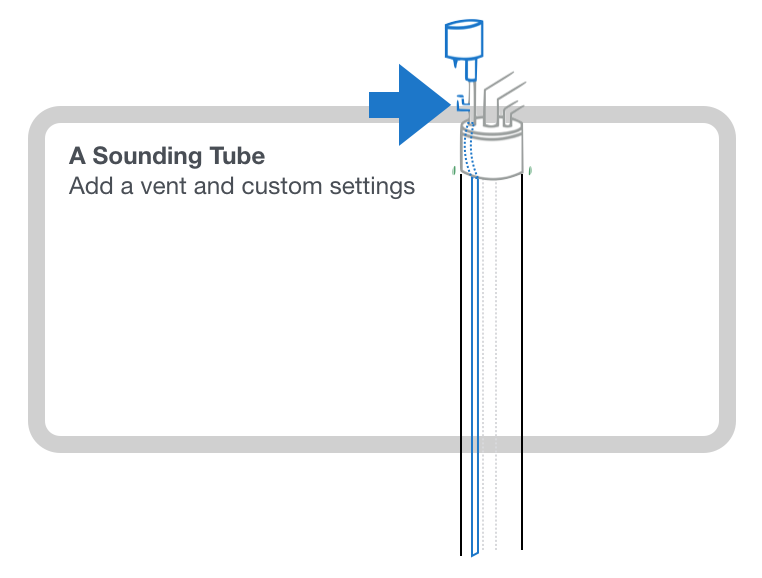 Wellntel can be configured to work through common sounding tubes, and indeed, they are usually a solution to other conditions. But sounding tubes themselves may require special calibrations and hardware adaptations. It is important to make sure that sounding tubes are well vented. A factory technician may also suggest alternative sensor placement, special sounding tube construction and signal programming.